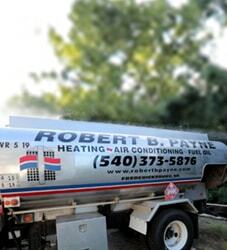 Best HVAC Services Fredericksburg, VA | Robert B. Payne, Inc. When searching for a company that provides HVAC services in Fredericksburg VA, it is important to find one that offers comprehensive solutions. At Robert B. Payne, Inc., our technicians are trained to help both home and business owners with a variety of issues, such as troubleshooting a problem or installing a new AC system. As a family-owned business, we have been in the industry for more than 80 years and can help you no matter what your heating or air conditioning needs are. Air Conditioning & Heating System Repair: We repair units that are not working. Especially those that make your home uncomfortable and contribute to expensive utility bills. AC & Heater Replacement: In many circumstances, you may benefit from an upgraded unit, which can bolster your efficiency and save you money on your power bill every month. HVAC Maintenance: Whether we show you how to change your filters or do a professional cleaning, we can help you keep your HVAC in good condition. Our team believes servicing every possible need, which is why we can also offer our customers fuel delivery for the very efficient heating oil systems. Unnecessary energy costs that drive up your monthly utility bills. Your HVAC system may not cool or heat your home properly. You could spend more on more costly repairs. Preventable damage could become permanent and require complete replacement of your HVAC system. Puts you at higher risk for expensive emergency HVAC repair. Robert B. Payne, Inc. is a quality client-centric company that is committed to the exceptional care of our client’s residential and commercial HVAC systems. It is crucial that you have a HVAC repair company that you trust. Give us a call today for fast, effective, and professional HVAC service. A well-maintained heating and cooling system improves your indoor air quality. 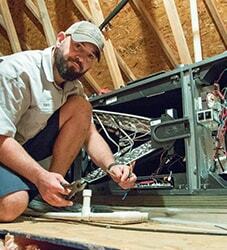 Having our technician inspect or repair your system means you may be able to avoid costly replacements in the future. A specialist knows which air conditioners or HVAC systems will work best for your space. No matter if we are doing a seasonal tune-up or designing a customized commercial heating and cooling system, our team is committed to providing the best work and the best products possible. If you need an emergency HVAC repair company in Fredericksburg, we think you’ll be happy with Robert B Payne, Inc. handling your emergency. We’ve been servicing the area for years and we know emergency HVAC repair better than most Fredericksburg companies. Whether your unit is blowing hot air, has a strange smell, is making weird noises, or is failing to come on all together, we’re the company for you. Our trained and experienced professionals arrive at a time that is convenient for you and come equipped with the supplies needed to address your emergency. Don’t simply go with the company that quotes you the lowest amount for the job, because you risk paying for it in the long run. Our trusted local company takes pride in serving our clients with efficient and complete service. Is there anything worse than having to handle HVAC problems at your Fredericksburg business? We know how important an efficiently operating HVAC system is to the comfort and health of you and your employees. We’re happy to offer a range of commercial HVAC repair services. From changing your HVAC filters, servicing your unit, to emergency repairs, we’re the company to choose. We realize how quickly work productivity can suffer when your HVAC isn’t functioning properly, so we arrive promptly and prepared to solve your HVAC problems. Ask about our annual service plans to ensure your HVAC functions at peak performance year-round. Give Robert B Payne, Inc. a call today. Most HVAC maintenance should be performed by a professional. Each unit is different, and all are quite complex. Proper maintenance requires the necessary parts, tools, and training. At Robert. B Payne, our thoroughly-trained technicians can handle all kinds of regular maintenance, including preventative maintenance measures. As a homeowner, you need to know when to call in the professionals. Regularly examine your system for signs of wear, grime, or corrosion. Grime is the most common issue. A thorough cleaning can take care of this; you should also change the air filters every four to six weeks. You can schedule professional maintenance before you notice any issues. This will ensure that your unit stays in top shape. Depending on your personal preference, you can schedule maintenance either every six months or once a year. 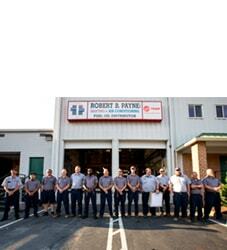 In either case, you can count on the technicians at Robert B. Payne, Inc. to do a thorough job. Like any other piece of equipment, HVAC systems require routine servicing in order to ensure proper performance and the unit’s lifespan is met. 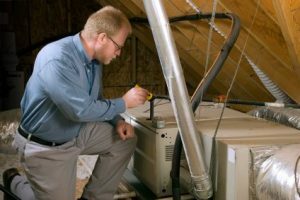 There are routine maintenance tasks that any homeowner can observe, and there are more sophisticated, scheduled maintenance measures that are best left to a licensed HVAC professional. At Robert B Payne, Inc., we recommend having your system professionally serviced twice a year, ideally in the spring and fall before peak usage seasons. Make sure you check and/or change your HVAC filter once a month, according to the manufacturer’s recommendation. Taking this proactive step along with keeping grass, weeds or other debris away from your outdoor air conditioning or heating unit can save you money in the long run. Our team at Robert B. Payne Inc. offers customers with flexible payment options for air conditioners, heating systems and more. To schedule service or request an appointment for HVAC services, fill out one of our contact forms online or give us a call at (540) 373-5876.